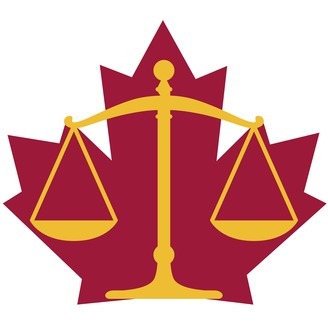 Canadian law is amazing! Get in-depth insights into how it affects our daily lives, as law faculty explain some of the principles at work behind the world we see around us. It's springtime, and "for rent" signs are blooming right along with flowers across Canada. What do tenants need to know about renting and the law (and what should landlords know)? 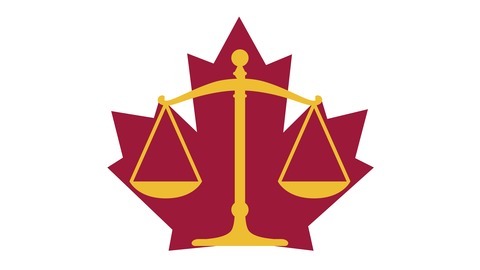 We get into the details with Blair Crew, director of Queen's Legal Aid, building on notions explored in Law 201/701, Introduction to Canadian Law. If you enjoy the podcast, take a moment to subscribe! You can find out more about property law in Canada by taking Law 201/701, Introduction to Canadian Law, at takelaw.ca. Sign up for our mailing list on the Certificate in Law site, and subscribe to this show on any of the major podcast platforms: Apple, Stitcher, Spotify and Google Play. Search for "Fundamentals" in your app of choice! Theme music for Fundamentals by Megan Hamilton. Art for the podcast by Valérie Desrochers. I'm Matt Shepherd. Spring is in the air, and "for rent" signs are blooming along with flowers across Canada. Students are signing leases -- and setting up sublets -- so we sat down with Blair Crew, the Director of Queen's Legal Aid, to get the whole picture of landlords, leases and the law. Whether you're signing a lease, subletting an apartment, or seeking new roommates, there's a lot you know know about the law. We should mention that this is not legal advice and is being presented for informational purposes only. And that this was recorded in April of 2019, and the law is subject to change. 00:00 Matt Shepherd: I'm here with Blair Crew, who is the Director of Queen's Legal Aid which is located in downtown Kingston, and is part of Queen's Law School. This for me, it's a build out a bit of things I learned in the Property Module in Law 201, taught by Dean Bill Flanagan. And in that module, we get a bit into landlords and leasing and rentals, but we're gonna get into that, especially since we're in Spring and Summer right now, we're gonna get into that in a bit more depth. 00:24 Blair Crew: That sounds great, thank you for having me on the podcast. 00:27 MS: Leasing is something that sort of happens at a provincial level. I used to live in Quebec, and I recall that they had fairly... At one point, they had fairly stringent rules that you had to have leases that ended on July 1st, which meant there was a peak moving season. So my understanding from that moving forward, is that every province kind of sets its own rules for landlords and leasing. 00:47 BC: That's right. Leasing is really a development of common law, where a landlord who has a bundle of rights, as often we talk about property rights, will by contract, take a portion of those rights or some sticks from the bundle, and pass them on to someone else for a limited time. The best known model, of course, is a person that owns a building that wants to lease it out to someone that's going to rent for a while as a tenant. Property and civil rights in a province is a matter of provincial jurisdiction under the constitution, so that means that each province is free to legislate however it sees fit, over top of what the common law says. 01:30 MS: And so we're located in Kingston, Ontario, so we're gonna be talking pretty specifically about stuff that's happening in Kingston and stuff that's happening in Ontario, but with the exception of Quebec, can we kind of take it as a given that things are fairly similar across the country? If someone's listening in Manitoba or BC, can they expect kind of the same things to apply? 01:49 BC: Every province is going to be governed by its own equivalent of the Residential Tenancies Act, but all of the common law provinces have enacted legislation that regulates residential tenancies, and by and large, those generally follow a similar model. Now, there may be individual rights or individual peculiarities that apply to one jurisdiction but not another. And I wouldn't wanna touch upon what happens in Quebec. But apart from that, generally, many of the rights that have been created by statute are similar from province to province. 02:19 MS: Okay, so let's talk about leasing. I am... You're the landlord, I'm a student or another person, you have a property, I want to live in it. Kind of what happens at that point legally? 02:30 BC: So the landlord and the tenant will agree together on what the terms of that lease are going to be, and one of the peculiarities of Ontario is as of April the 1st 2018, the government has mandated that there is now one standard residential lease form, and the purposes of this was really to educate both landlords and tenants as to their rights, because there was a lot of poor understanding. I think people have a very common law feel for what they can and cannot do, and there are so many individual rights that are given or are limited, depending on your perspective, under the Residential Tenancies Act that finally the government said, "Let's just make the obligations on both sides clear to everybody by having a standard form lease, which is mandatory for all new tenancy agreements." 03:22 MS: So that's been since... Essentially, it's been about a year now since that was introduced. And so now there is just one set of obligations on both sides. 03:32 BC: That's correct, and I think that anybody that is coming to sign a new lease, or is beginning University, or is moving to a new town, they are going to be confronted with the realities of that standard lease form that set out all of the basic rights and obligations. Now, there is room for an individual landlord and tenant to make a contractual arrangement for added provisions, but one of the fundamental premises of the Ontario Residential Tenancies Act, is that you cannot contract out of the Act. Meaning, if there is a provision that is provided in legislation, that's not a matter of individual negotiation between the landlord and tenant. 04:11 MS: Right. So one of the things that comes up, or something that comes up fairly frequently, is this idea of kind of landlord rules or house rules. The classic example from old films is a woman in a boarding house can't have any gentleman callers. So do landlords have the right to actually create these kinds of provisions? 04:30 BC: So outside of the stuff that's legislated, landlords do have the right to create individual provisions, but one of the fundamental things that landlords can't do actually is limit the number of people that live in the house or who is permitted to have guests. Every tenant, one of the things that landlords fundamentally often don't understand is that when they are renting out the place, by and large, they are giving up, for a period of time, the majority of their rights to that place. And one of the things that they can't limit is a person's ability to have guests over. And that could be short-term or that could be long-term. 05:06 BC: Landlords may sometimes say, "Yes, but there's five people there instead of four, so it's using more utilities. That's why I wanna restrict it." The landlord would be free to say, "If you have an additional guest for a period of time, I may charge more for utilities," if that's the landlord's responsibility. But one of the things the landlord can't do under the legislation, is say who somebody is allowed to have over. So that classic example would no longer be something that the landlord could do. On the other hand, there are no provisions in the Residential Tenancies Act about whether or not you can make a building a no smoking building. So if an individual landlord wants to include a term that says this building is smoke-free, the landlord and tenant can agree to that as a term of their contract. 05:50 MS: One thing that comes up a lot is non-human guests. So can a landlord say yes or no to pets? 05:57 BC: Non-human guests are often one of the biggest concerns, and I think from a landlord's point of view, there's a large concern because they're going to, if the cats scratch up everything, or if it's a dog gonna leave a mess all over the place. One of the provisions of the Ontario Residential Tenancies Act, and this is not universal amongst all the provinces, is that a "no pet provision" is void. So even if it's there in the contract, or even if the landlord feels that they can negotiate that as an individual aspect, that's one of those provisions that contravenes the Act, and it cannot be enforced. 06:31 BC: So you're free to have your cat or dog as much as you want. 06:34 MS: So let's talk about the evolution of this idea of guests. Because that extends into something that's of immediate concern to a lot of students as the summer approaches, which is sub-letting. And not having a guest on the property, but basically having someone there in your place probably paying the rent to you, the tenant, and then you turn that money in exchange over to the landlord. What are the rights and obligations of someone who wants to sublet an apartment? 07:00 BC: So at Common Law, the rights were very, very, very open-ended, and both what the landlord and tenant can do or not do by way of sub-letting is one of the areas where there's many provisions in the legislation. So when a person sublets, when a tenant sublets, basically, it's as if the tenant is now passing on some of the individual rights that they have received from that bundle of rights to a person that hold through a contract through them. So it's like a second level contract. When you sublet though, you don't do anything to extinguish the obligations of the tenant. So the tenant and the sub-tenant can agree to any rent that they want, the legislation says that can't be more than the rent that the tenant themselves is paying. So that puts an upward cap on how much they can charge. The legislation also says that a landlord cannot un... That a landlord needs to consent to the sub-tenant, but cannot unreasonably withhold that consent. 08:01 BC: So if a tenant comes to a landlord and says, "I'll be gone for the summer, but here's a graduate student that will be in town for the summer. I'd like to sublet to them," the landlord cannot unreasonably refuse that. But if the sub-tenant then subsequently trashes the place, or doesn't pay rent to the tenant, that in no way relieves the tenant who has sublet from their obligations. So when you choose to sublet, you're still really retaining responsibility for the tenancy yourself, and if anything goes wrong with your sub-tenant, that's a matter between you and the sub-tenant, your obligations to landlord still survive. 08:38 MS: So it doesn't feel like there's a difference here between whether you inform the landlord or not; informing the landlord is obviously probably a good idea and a polite thing to do, but it doesn't remove any obligations from the tenant if they tell the landlord what's happening, saying, "Hey, I'm sub-letting this place," doesn't remove any obligation from me as a tenant, I still assume all the obligations I normally would. 09:00 BC: That's correct, and so... And because there's no relationship, no contractual relationship between the sub-tenant and the landlord individually. Now, the law recognizes that landlords may want to know who it is that's residing in their premises, they wanna make sure that this is a person that's allowed to stay there, and not someone that's breaking in and stealing your stuff, for example. They may wanna know who's been provided with a key to the building. So that's why the legislation says that the landlord... You need landlord consent to sublet, but that the landlord cannot withhold that consent unless there's a really strong reason, such as, for example, the landlord finds out that this sub-tenant had trashed three previous places, or something of that nature. 09:42 MS: Right. So the key takeaway for me in this is, a student shouldn't be concerned about telling their landlord that they're going to sublet, because the landlord can't unreasonably refuse unless there's a very good reason to do so. 09:54 BC: That's right. And really, the idea of sub-letting too is that the tenant is usually going to resume their tenancy when they come back in the Fall. 10:02 BC: So you don't wanna do anything to extinguish your rights, otherwise, you shouldn't be concerned. The legislation does give the tenant the right to terminate the tenancy altogether if they come to the landlord with a sub-tenant and the landlord says, "No, I refuse to do that, or I will never allow a sublet." But that's not always in a student's interest 'cause often they want the place back when they come back. 10:26 BC: I'd also like to mention something about the notion of joint and several liability. It's very common in university towns, and I think the new form of lease, because there's spots for multiple tenants on it, lends itself to this, that instead of the landlord having an individual lease, say, for a room with each tenant, it's common for four or six tenants, particularly in Kingston where there's lots of nice old houses around, to have a single lease document where all four or six tenants will sign together. When you create a tenancy together with four or six, or one or two, I mean, or two signatures together, that creates a relationship of joint and several liability. 11:10 BC: What effectively means is that each of those tenants is responsible to the landlord for the full obligations of the contract. In theory, if one of the six tenants were not to pay their share of rent, the landlord is free to come to the other five tenants and say, "Hey, your sixth tenant didn't pay up. I want you guys to split that amount up," or even to pick on one tenant that they perceive to have deeper pockets and say, "Hey, this is a joint and several contract, you are fully responsible for the full amount. So I'm gonna come after you for the amount that your other co-tenant didn't pay." Similarly, if there is damage caused by any one of the people that is on that contract, typically, landlords will do a move-out inspection at the end, if that happens and they find damage, the landlord is free to sue all four or six individuals, how many ever there are, or is free to sue only one. And even if somebody else caused the damage, in law, you could be responsible for it. So it's something I always think is worth while for students to know. 12:14 MS: You gotta pick your roommates carefully. 12:16 BC: Absolutely, and there are an awful lot of times where relationships start out great with roommates and they sort of go badly. And there are services available to the Queen's University that will help you to mediate those co-tenant disputes before it gets to the stage of involving the law. 12:34 MS: Actually, since you mentioned the landlord walk-through upon the end of a tenancy, is first and last legal in Ontario? 12:42 BC: Yeah. The only amounts that a landlord can charge by way of what they used to call a security deposit is charging a first and last month's rent. Now, first month's rent is literally to pay for the first month of the tenancy, the other deposit can be no more than the last month rent deposit, the landlord must pay interest on it at a rate that is prescribed by legislation every year, and it must be applied to the last month's rent. So the notion of a damage deposit, that's something that is precluded by Ontario law. The only other amount a landlord can charge up front would be a key deposit, it must be a refundable deposit, and that can be no more than the actual amount that it would cost the landlord to replace the keys. 13:24 MS: We're referring to the legislation a lot. It's easily accessible, right? 13:27 BC: Yes, it's the Residential Tenancy Act, and it's available through e-laws. Also, the Landlord and Tenant Board of Ontario, which is the specialized tribunal that has jurisdiction over most landlord-tenant disputes in Ontario, has excellent information on their website, and including self-help guides and an explanation of the law, as well as link to all of the relevant legislation and regulations. 13:53 MS: And this is all very accessible and understandable stuff. You can read this, and it's not... This isn't lawyerese, it's not very opaque, it's all been put in a format that's pretty easy to parse. 14:03 BC: Yeah, the legislation itself is still legislation, and sometimes legislation is drafted in a way that could be clear certainly, but part of what the Landlord and Tenant Board website does is try to put it into plain language, and that's something else that they've really emphasized with the new standard lease, is that it's a plain language lease, and all of those old causes that repeat everything and have Latin phrases and phrases repeated in triplicate, that's all done away with now. 14:35 MS: Right. So if I wanted to sublet, would it be in my interest even informally to try to get some sort of contract in writing between myself and the person I'm sub-leasing to? 14:45 BC: It's always... So if you are now effectively in the position of the landlord vis-a-vis your sub-tenant, so it's always a good idea to get a written agreement as to what the contractual obligations are. Now, the Residential Tenancies Act has very little, very few provisions about that, apart from the fact that you can't charge more rent. But for example, we talked before about a landlord that would have a no smoking rule. You'd wanna make sure that in your contract with your sub-tenant, you're repeating that rule, otherwise you will be violating your obligations to the landlord. You may also wanna put provisions in there that specify that the sub-tenant would pay for damage if any is caused, or that if the landlord subsequently comes back and alleges that the sub-tenant caused damage, that that's something that the sub-tenant will make the tenant whole for. It's much better to have it in writing, because that relationship is one that is much more contractual in nature than property in nature, and you wanna be able to prove to the small claims court, which is where there would be jurisdiction over this, if there's any dispute about what the obligations were. 15:55 MS: So what can you do if you get into trouble, if something goes wrong with your sub-tenancy and so on, where do you go to kind of seek help with these sorts of issues? 16:05 BC: So one of the difficulties with the sub-tenant is that the Landlord Tenant Board itself doesn't have jurisdiction over sub-tenancies. So if you need a legal remedy as against the sub-tenant, you're ultimately going off to the small claims court. That said, you'd wanna find some legal advice, and legal clinics, including Queen's Legal Aid, would be happy to assist in some of those disputes, just to help explain what your rights are, and what your remedies from there are, if something has gone wrong. 16:38 MS: Excellent, and let's hope nothing does. 16:40 BC: Let's hope not. 16:41 MS: Thank you, Blair. 16:42 BC: You're very welcome. Thanks to Blair Crew. Property law, including landlords and leases, is part of our "sampler tray" of Canadian Law, Law 201/701, Introduction to Canadian Law. You can learn more about it at takelaw.ca. Fundamentals of Canadian Law is recorded at Queen's University, situated on traditional Anishinaabe and Haudenosaunee territory. Our theme music is by Megan Hamilton, who is also a staff member here at Queen's Law! You can find out more about her music at meganhamiltonmusic.wordpress.com. Original illustrations for this podcast are by Valerie Desrochers. You can find her work at vdesrochers.com.